George Abramovich Koval (Russian: Жорж (Георгий) Абра́мович Кова́ль; IPA: [ˈʐorʐ (ɡʲɪˈorɡʲɪj) ɐˈbraməvʲɪtɕ kɐˈvalʲ], Zhorzh Abramovich Koval, December 25, 1913 – January 31, 2006) was an American who acted as a Soviet intelligence officer for the Soviet atomic bomb project. According to Russian sources, Koval's infiltration of the Manhattan Project as a Glavnoye Razvedyvatel'noye Upravleniye (GRU) agent "drastically reduced the amount of time it took for Russia to develop nuclear weapons." Koval was born to Jewish immigrants in Sioux City, Iowa, US. Shortly after reaching adulthood he traveled with his parents to the Soviet Union to settle in the Jewish Autonomous Region near the Chinese border. Koval was recruited by the Soviet Main Intelligence Directorate, trained, and assigned the code name DELMAR. He returned to the United States in 1940 and was drafted into the US Army in early 1943. Koval worked at atomic research laboratories and, according to the Russian government, relayed back to the Soviet Union information about the production processes and volumes of the polonium, plutonium, and uranium used in American atomic weaponry, and descriptions of the weapon production sites. In 1948, Koval left on a European vacation but never returned to the United States. In 2007 Russian President Vladimir Putin posthumously awarded Koval the Hero of the Russian Federation decoration for "his courage and heroism while carrying out special missions". George Koval's father, Abram Koval, left his home town of Telekhany in Belarus to immigrate to the United States in 1910. Abram, a carpenter, settled in Sioux City, Iowa, which at the turn of the 20th century was home to a sizeable Jewish population of merchants and craftsmen. He and his wife Ethel Shenitsky Koval raised three sons: Isaya, born 1912; George (or Zhorzh), born Christmas 1913; and Gabriel, born 1919. George Koval attended Central High School, a red-brick Victorian building better known as "the Castle on the Hill". Neighbors recalled that Koval spoke openly of his Communist beliefs. While attending Central High he was a member of the Honor Society and the debate team. He graduated in 1929 at the age of 15. Meanwhile, his parents left Sioux City as the Great Depression deepened. Abram Koval became the secretary for ICOR, the Organization for Jewish Colonization in the Soviet Union. Founded by American Jewish Communists in 1924, the group helped to finance and publicize the development of the "Jewish Autonomous Region" – the Communist answer to Jewish emigration to the British Mandate of Palestine then being undertaken by the Zionist movement. The Koval family emigrated in 1932, traveling with a United States family passport. They settled in Birobidzhan, near the border of Manchuria. The Koval family worked on a collective farm and were profiled by an American Communist daily newspaper in New York City. The journalist Paul Novick wrote to his readers that the family "had exchanged the uncertainty of life as small storekeepers ... for a worry-free existence for themselves and their children." While Isaya became a champion tractor driver, George Koval improved his Russian language skills in the collective and began studies at the Mendeleev Institute of Chemical Technology in 1934. At the university he met and married fellow student Lyudmila Ivanova. Koval graduated with honors in five years and received Soviet citizenship. Later, Koval was recruited by the Soviet Main Intelligence Directorate (Главное Разведывательное Управление), or GRU. By the time he received his degree he had left Moscow under orders as part of a subterfuge. He was drafted into the Soviet army in 1939 to explain his sudden disappearance from the city. Though his parents had relinquished their US family passport, Koval returned to the US in 1940, replacing a spy recalled during Stalin's purges. His code name was DELMAR. Arriving in San Francisco, he traveled to New York City. According to Arnold Kramish, an American colleague he befriended and with whom he re-established contact in 2000, it was there that Koval assumed deputy command of the local GRU cell. This outpost operated under the cover of the Raven Electric Company, a supplier to firms such as General Electric. Koval told coworkers he was a native New Yorker and an only child. He ingratiated himself with everyone he met. While Koval originally worked under a pseudonym, gathering information on toxins for use in chemical weapons, his handlers decided to have him work under his real name. During the beginning of World War II, President Franklin D. Roosevelt had re-introduced the draft (conscription) in September 1940, and Koval registered for it on January 2, 1941. Raven Electric Company secured him a year's deferment from service until February 1942. According to historian Vladimir Lota, Koval's handlers wanted him to steal information about chemical weapons, and felt that he would not be able to do so while drafted. When the deferment expired, Koval was inducted into the United States Army. He received basic training at Fort Dix in New Jersey before being sent to the Citadel in Charleston, South Carolina. There, Koval served as a private in the 3410th Specialized Training and Reassignment Unit. On August 11, 1943, he was transferred to the Army Specialized Training Program, a unit established in December 1942 to provide talented enlistees with an education and technical training. Koval attended the City College of New York (CCNY) and studied electrical engineering. His CCNY classmates looked up to the older Koval as a role model and father figure who never did homework and was a noted ladies' man, never knowing about his Soviet education and wife. Colleagues recalled that he never discussed politics or the Soviet Union. The Specialized Training Program was dissolved in early 1944, as the progress of the war tipped in favor of the Allies; many of the CCNY classmates were transferred to the infantry, while Koval and a dozen others were selected for the Special Engineer Detachment. The Detachment was part of the covert project to design, engineer, and fabricate an atomic bomb—an American, Canadian and British initiative known as the Manhattan Project. 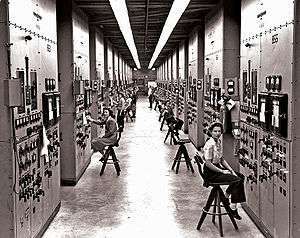 Koval was assigned to Oak Ridge, Tennessee; at the time, Project scientists were researching enriched uranium and plutonium-based bombs, with the Oak Ridge laboratories central to the development of both. The Project suffered from a lack of human resources, and asked the Army for technically qualified men. Oak Ridge workers operating calutrons. Koval's job as a health officer meant he had his own car and access to many sensitive areas of the facility. Koval enjoyed free access to much of Oak Ridge; he was made a "health physics officer", and monitored radiation levels across the facility. According to Federal Bureau of Investigation records, the job gave him top-secret security clearance. At the time, Project scientists discovered reactor-produced plutonium was too unstable for the intended bomb designs, and that polonium initiators (urchin) were needed for the necessary chain reactions to occur. Koval was charged by his handlers with watching Oak Ridge's polonium supply to transmit information about it through a Soviet contact named "Clyde". His information reached Moscow via coded dispatches, couriers, and the Soviet Embassy. Among the intelligence he sent was that Oak Ridge's polonium was being sent to another Project site at Los Alamos National Laboratory. Koval was transferred from Oak Ridge to a top-secret lab in Dayton, Ohio on June 27, 1945, where polonium initiators were fabricated. The world's first atomic bomb was detonated in New Mexico on July 16 of that year. 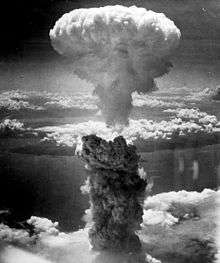 Atomic bombs were dropped on Japan on August 6 and 9, leading to Japan's surrender and the end of World War II. The Soviet Union responded by increasing efforts to develop its own atomic bomb. While the American Central Intelligence Agency estimated the Soviets would not succeed until 1950–53, the first Soviet atomic bomb was detonated on August 29, 1949. The initiator for the plutonium bomb was, according to Russian military officials, "prepared to the 'recipe' provided by military intelligence agent Delmar [Koval]". After World War II, Koval was discharged from the Army. He returned to New York and CCNY, where he received his bachelor's degree in electrical engineering on February 1, 1948. Telling his friends he was thinking about taking a trip to Poland or Israel, Koval secured a passport for six months' travel to Europe. According to the Russian publication Rossiyskaya Gazeta, he might have left because American counter-intelligence agents had discovered Soviet literature about his parents after being tipped off about the leak by a Soviet defector. He left by sea in October 1948 and never returned to his birth country. In Russia, he left the Soviet military with discharge papers as an untrained rifleman and the rank of private. His foreign background and service record made him "a very suspicious character", he wrote to Kramish. Turned down for education and research positions, Koval turned to his old GRU contact, who secured him a job as a laboratory assistant at the Mendeleev Institute. Eventually, Koval managed to obtain a teaching job there; his students often laughed at his foreign pronunciations for technical terms. While other spies such as Julius and Ethel Rosenberg and Klaus Fuchs were caught after the war, Koval apparently went unscrutinized for years. Among the reasons given for his maintained cover was that inter-service politics undermined efforts to perform proper security checks on employees. Another possibility is that the U.S. government chose scientific ability over clear records and political sympathies. In the 1950s, the FBI investigated his wartime activities and interviewed his former colleagues, leaving them with the impression that he might have been a spy. The matter was kept confidential for sixty years as the US was afraid of the damage that would result from the exposure of Koval's activities. In 1999, Koval was living on his small pension in Russia and had heard that U.S. War Veterans like he could apply for U.S. Social Security Payments. He applied. In 2000, the Social Security Administration's Office of Central Operations, Baltimore, Maryland in this one sentence letter said, "We are writing to tell you that you do not qualify for retirement benefits." Koval described his 57 years of post-spy life living in Russia as "uneventful". His family knew he had done work for the GRU, but the subject was never discussed. He did not receive any high awards upon his return, a fact that bothered him. Bigger awards went to "career men", he told Kramish. However, he ended his correspondence by saying that he was not protesting his treatment; "[I am thankful] that I did not find myself in a Gulag, as might well have happened". Koval died in his Moscow apartment on January 31, 2006, at the age of 92. Koval's activities as a spy began to emerge after the publication of a 2002 book, The GRU and the Atomic Bomb, which mentioned Koval by his code name and listed him as one of a handful of spies who evaded counterintelligence groups. On November 3, 2007, he received the posthumous title of Hero of the Russian Federation bestowed by Russian President Vladimir Putin. When Koval was honored, the Russian presidential proclamation stated, "Mr Koval, who operated under the pseudonym Delmar, provided information that helped speed up considerably the time it took for the Soviet Union to develop an atomic bomb of its own". ↑ Chervonnaya, citing Russian sources. 1 2 3 Walsh, 42. 1 2 3 4 5 6 Walsh, 43. 1 2 3 4 5 6 7 Broad, 2. 1 2 3 Walsh, 44. 1 2 3 Walsh, 45. 1 2 3 Walsh, 47. Svetlana Chervonnaya. Koval, George Abramovich (1913–2006). DocumentsTalk.com. Retrieved 2010-09-09. Broad, William J (November 12, 2007). "A Spy's Path: Iowa to A-Bomb to Kremlin Honor". The New York Times. pp. 1–2. Retrieved May 22, 2009. Doyle, Leonard (November 13, 2007). "US embarrassed as Putin honours spy who came in from the cornfields". The Independent. Retrieved May 20, 2009. Moscow Kremlin (November 2, 2007). "President Vladimir Putin handed over to the GRU (military intelligence) Museum the Gold Star medal and Hero of Russia certificate and document bestowed on Soviet intelligence officer George Koval". Kremlin.ru. President of Russia. Retrieved June 20, 2009. Soldatov, Andrei. "The Soviet Atomic Spy Who Asked for a U.S. Pension". The Daily Beast. Retrieved 28 May 2016. Srebrnik, Henry (2001). Gennady Estraikh; Mikhail Krutikov, ed. Yiddish and the Left (Diaspora, Ethnicity and Dreams of Nationhood: North American Jewish Communists and the Soviet Birobidzhan Project ed.). Oxford: Legenda Press. Walsh, Michael (May 2009). 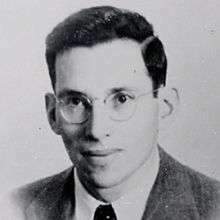 "George Koval: Atomic Spy Unmasked". Smithsonian. 40 (2): 40–47. "The Judicial Literature" of the Administration of the President of the Russian Federation. "УКАЗ Президента РФ от 22.10.2007 N 1404 'О ПРИСВОЕНИИ ЗВАНИЯ ГЕРОЯ РОССИЙСКОЙ ФЕДЕРАЦИИ КОВАЛЮ Ж.А.'" [22.10.2007 Presidential Decree N 1404 'On conferring the title Hero of the Russian Federation to Koval GA'] (in Russian). Retrieved May 19, 2016.